Restore the spotless shine to dirty or tarnished silver plate pieces with a few common household cleaners. Silver plate platters, tea sets, and flatware—typically made of copper, brass, or nickel and topped with a thin layer of pure silver or a silver alloy through the process of electrolysis—add a touch of class to any table (at a far more reasonable price than solid silver). Yet silver plate can lose its luster through regular use, accumulating dirt and tarnish, a dingy film formed when traces of sulfur in the air chemically react with the silver surface to produce silver sulfide. Because the silver plate coating is delicate, it requires uniquely gentle cleaning (unlike its solid sibling, which can actually stand up to mild abrasives like toothpaste). 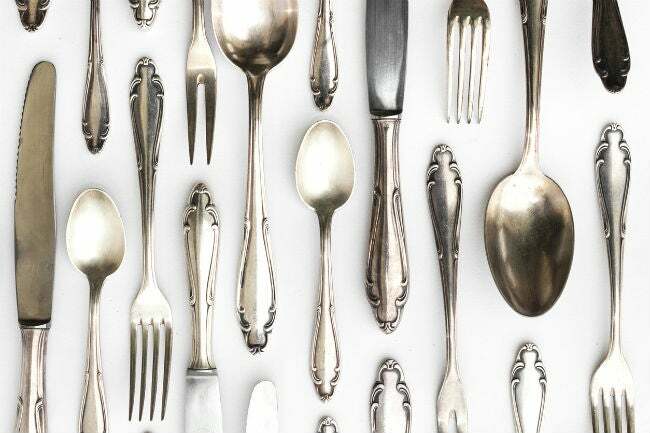 Read on to learn how to clean silver plate safely and easily after everyday use and periods of tarnish, and you can enjoy it on a daily basis—not just when company comes. 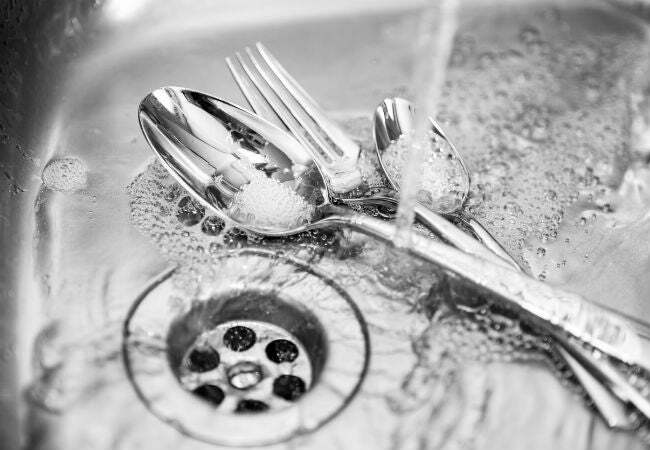 Use this procedure for cleaning silver plate to get rid of the dirt and grime that accumulates from regular use. Determine whether your silver-plated item is lacquered (sealed with a clear protective coating) or non-lacquered by pressing the tip of a fingernail into an inconspicuous location. If this leaves a small mark, it’s lacquered; if there’s no mark, it’s non-lacquered. Insert a sink stopper into the drain of an empty sink. If cleaning a lacquered silver-plated item, run warm water from the tap until the sink is three-quarters of the way full. (Hot water can strip the lacquer.) If cleaning a non-lacquered item, run hot water from the tap. Add to the water half teaspoon of acid-free liquid dish soap (check the ingredient list, avoiding soaps with “citric extracts” or citric acid, a common ingredient in citrus-scented dish soaps that can have a mild corrosive effect on silver plate). Using a gloved hand, stir the contents until the soap has completely dissolved. Submerge the silver-plated item in the soap bath completely. Give the piece three to five minutes of dwell time to loosen dirt or grime, then remove it and place it on a clean surface. While the item is still wet, gently rub its entire surface with a soft, dry cloth or dish sponge to slough off loosened dirt and grime. Steer clear of steel wool, polishing cloths, or other abrasive utensils, which can scratch silver plate. Rinse the item under warm tap water to wash off lingering debris, then wipe it down with a soft, dry cloth. Now, don’t forget to polish to completely restore the metal’s luster! Jump to the last section to read how to shine your silver plate. 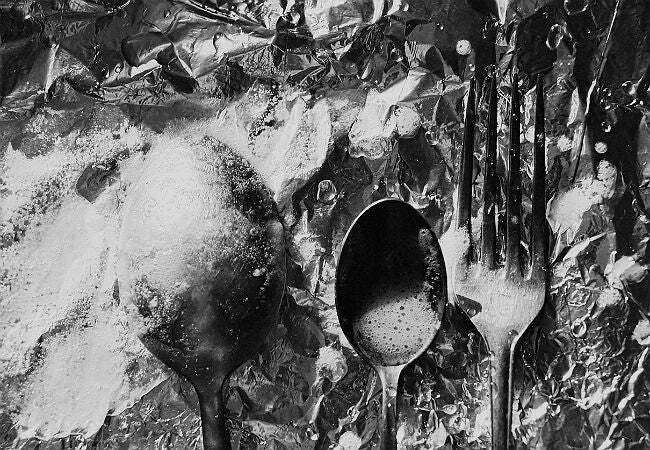 Use this technique for how to clean silver plate at least once a year or whenever you notice the dark, shadowy film of tarnish form. Line the base and sides of a large glass bowl with a sheet of aluminum foil (either the shiny or dull side can be facing up), then set the silver-plated item inside the bowl directly on top of the foil. Boil four cups of plain water in a saucepan, then move the saucepan of water from the heat to an empty sink. Add a quarter cup of baking soda to the saucepan while the water inside is still hot. The water will bubble as the baking soda dissolves. If cleaning non-lacquered silver plate, immediately pour all of the hot water and baking soda solution over the silver-plated item in the foil-lined glass bowl. If the item is lacquered, wait until the water is warm to the touch before pouring it over the silver-plated item (hot water can strip the lacquer). The baking soda will immediately begin to chemically react with the silver sulfide. You should start to see the dark film diminish within one minute and, depending on the degree of tarnish, disappear entirely within five to 10 minutes. Remove the silver-plated item from the bowl using tongs, then rinse it under warm tap water to wash away any lingering film. Wipe the item down with a soft, dry cloth, and polish according to the next section before storing. Following either the regular or deep cleaning routines, use this procedure to restore sheen to silver plate. After donning gloves, squeeze a dot of silver polish onto a soft, clean, dry cloth. Gently rub the paste- or cream-based polish (e.g., Wright’s Silver Polish Cleaner, available for $5 on Amazon) over the entire surface of the clean silver-plated item using circular motions. Rinse the item under warm tap water to wash away excess polish, then dry the item immediately with a clean soft cloth; air-drying can lead to unsightly water marks. Store your cleaned and polished silver-plated items in an anti-tarnish silver storage bag (view example on Amazon) or a kitchen drawer covered with anti-tarnish fabric lining (view example on Amazon). These fabrics absorb sulfur present in the air, preventing the chemical reaction that causes tarnish.